I love pirates and have done ever since I was a boy, fighting my way through The Secret of Monkey Island. This much is oft-repeated common knowledge among regular readers and plainly obvious to anybody who meets me. I celebrate Talk Like A Pirate Day. I’ve grown my hair like Guybrush Threepwood. I own a pirate cutlass. One day, when I finally grow a pair, I’ll get a suitable tattoo. Now, finally completing my genre-worship is Pirates of the Burning Sea, or PotBS, the new MMO from Sony. I think I may have gone to heaven. Arguably, the MMO market may be a little crowded at the moment. World of Warcraft has just broken the ten million player boundary, Lord of the Rings Online is going from strength to strength and there’s all manner of smaller MMOs out there to cater to the cheap and cheery or the niche markets. Between Tabula Rasa and Guild Wars, it would seem every base is covered. Sony reckons there must be some booty left though, and the key word here is ‘booty’, of the lucre variety. 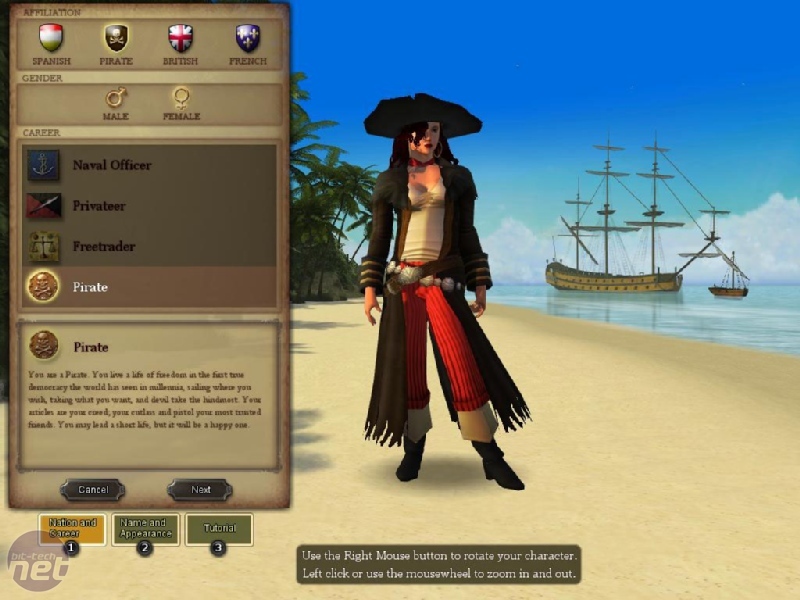 Sony is cracking into the market with a pirate-themed MMO, the one genre that probably hasn’t been done to death just yet. Part of what makes Pirates so special is that it can be broadly divided into two halves. There’s the traditional MMO bit where players run around cities, trading, fighting, bickering and yelling obscenities at each other and then there’s the ship-based combat side of things which frees players up to travel the high seas in style. The combination of the types of movement and styles of combat really does help the game feel more open and epic, much more so than simply having a stylist mount or teleport spell and we’ll get to the intricacies of both a little later. Right now, it’s easier if we just start at the very beginning. 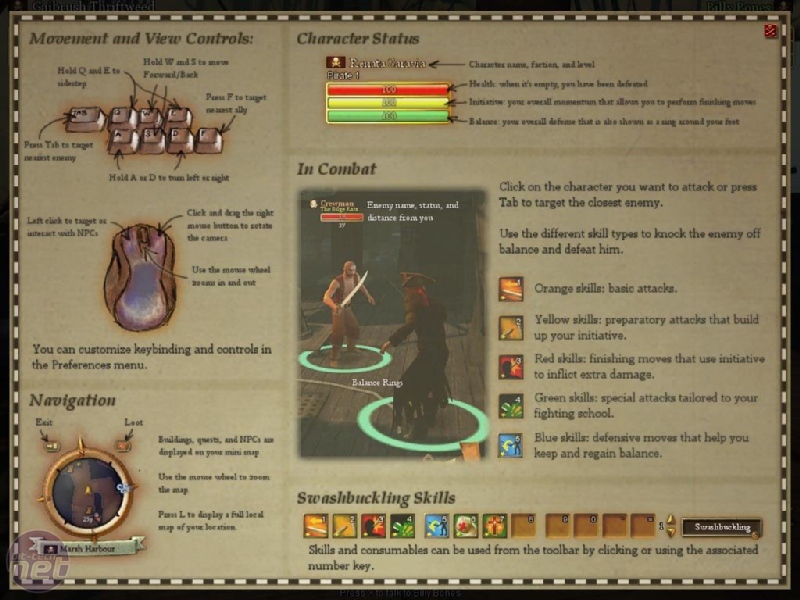 Character creation in Pirates of the Burning Sea is a fairly limited affair and there’s not really a lot of options open to players in terms of class or specialisation at the beginning. That may sound like a bad thing to some, but it’s actually quite good and means that players are all starting off on equal footing. 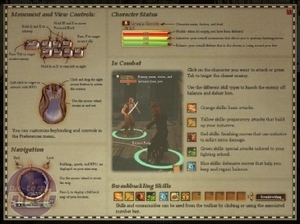 The first thing each player must do is determine the nationality of their character, something which determines their alliances, class possibilities and over all aims throughout the game. The selection is limited to just four nations – England, France, Spain or just the generic vagabond Pirate class. If you choose one of the first three nationalities then there are a few sub-classes to choose; Privateer, Naval Officer and Freetrader. The sub-classes are all fairly self-explanatory; Freetraders are character who want to make a lot of money, Naval Officers are those militant so-and-sos who have the full backing of an army and the arrogance to match and Privateers are little more than mercenary pirate-hunters. 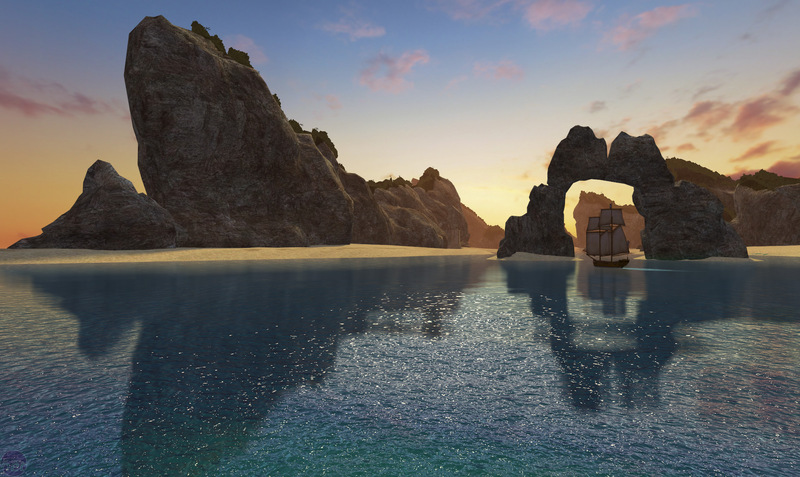 A new Everquest game featuring fully destructible terrain has been revealed by SOE. NCSoft is being sued by MMO developer Worlds.com, which basically alleges that it invented the MMO model.